24+ Seeds. 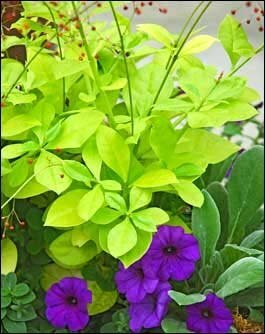 Jewels-of-Opar Limon has attractive, succulent-looking, LIME GREEN foilage and is quick to send up arching panicles adorned with light to hot pink star-shaped flowers. Amazingly, these flowers appear repeatedly over a long period of time. Growing as a perennial from zone 8-10 or an annual in colder zones. Can be grown as a container plant in any zone! The long panicles are perfect for cutting and using like you would Baby?s Breath. 24+ Seeds. Jewels of Opar ''Limon'', Limon Talinum (Talinum Paniculatum). 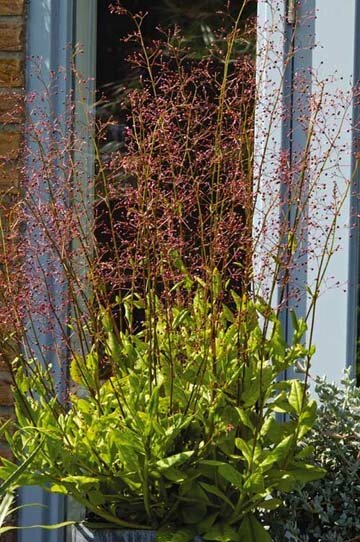 Jewels-of-Opar has attractive, Jewel-like, lime green, succulent-looking foliage and is quick to send up arching panicles adorned with light to hot pink star-shaped flowers. Amazingly, these flowers appear repeatedly over a long period of time. The long panicles are perfect for cutting and using like you would Baby?s Breath. Once the flowers are gone, the stems have fruit capsules that are amber-colored at first finishing off to a cinnamon red. These, too, are very attractive elements for the vase. Most information sites list Jewels-of-Opar as perennial in zones 9-11, although I hear from gardeners and by reading botanical garden sites that they have a spring return in zone 8. If you live in a colder area, these can be grown as annuals or as containers plants and protected over winter. These will self-sow in warmer zones, so allow room for 'volunteers' in subsequent years. Grow in Full sun to part shade in well draining soil, don't allow water to stand on these plants.